EVE: Valkyrie’s fifth major free update, Groundrush, has been announced live today at EVE: Fanfest 2017 and boy, it really is going to be a rush. It introduces the game’s first ever surface based map and as such it will be unlike anything you’ve experienced before. To coincide with the announcement, Sony PlayStation’s US and European blogs are running articles on the update so be sure to head over there ASAP to find a few juicy morsels about this thrilling new development. You can find the US blog here, and the EU blog here. 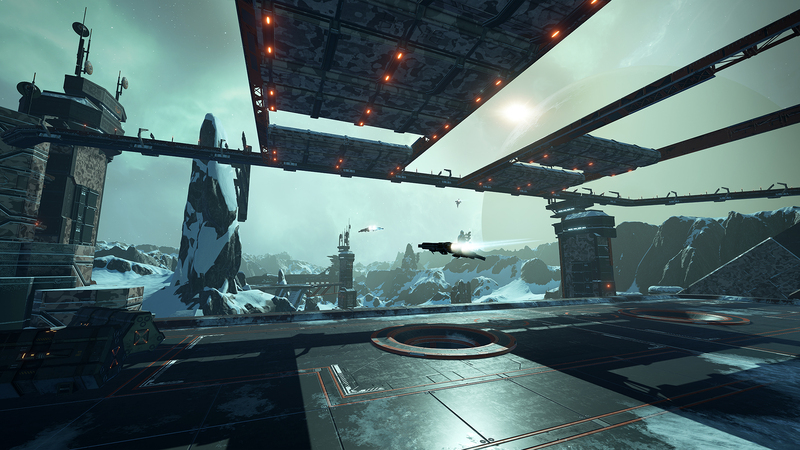 We’re sure you’re chomping at the bit to find out everything there is to know about Groundrush and the many new features it brings to EVE: Valkyrie. Don't fret, we've got you covered - if you come back here tomorrow and on Monday we will be publishing in-depth guides to all of the features coming your way in the Groundrush update. These are exciting times for the Valkyrie.